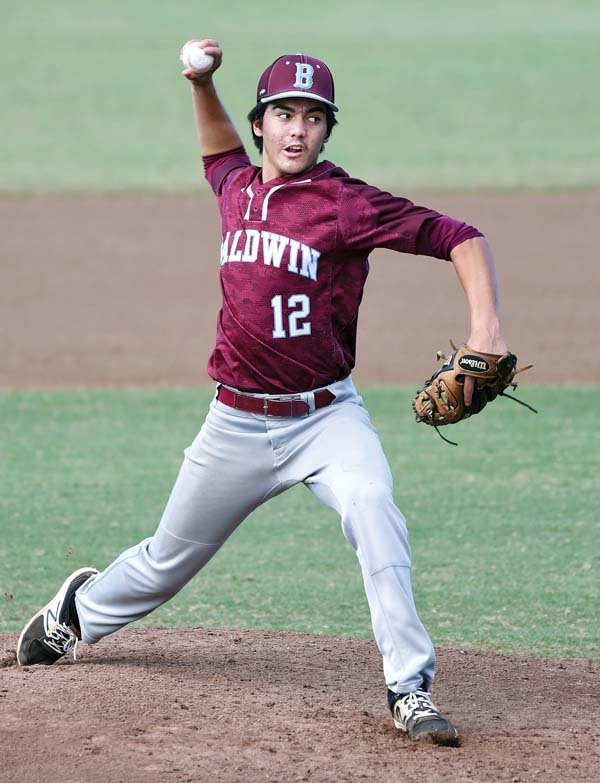 WAILUKU — The Baldwin High School baseball team is ranked No. 1 in the state by scoringlive. com and third in the Honolulu Star-Advertiser poll. The Bears are aware of their lofty rankings, but they say that doesn’t matter to them. 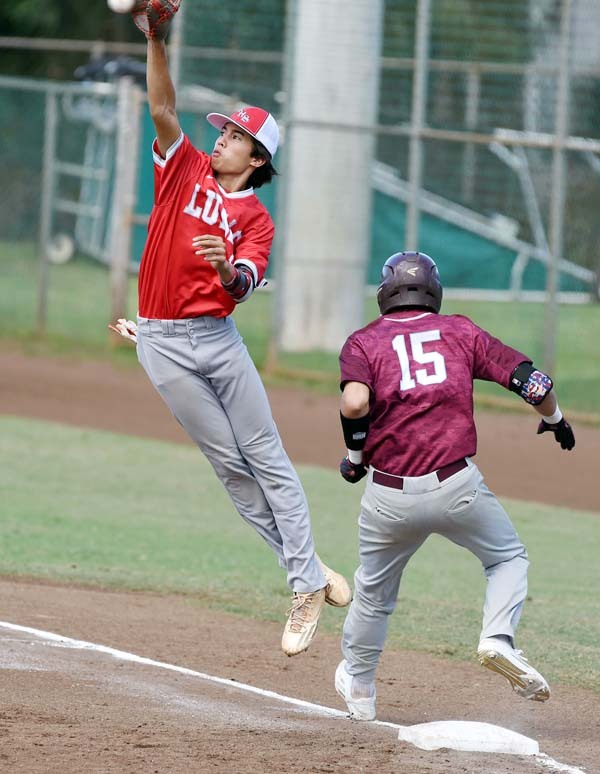 It appears the plan is working well as the Bears rolled to a 10-0 win over an undermanned Lahainaluna team in their Maui Interscholastic League opener on Thursday at Maehara Stadium. Lunas first baseman Kamahao Acpal leaps for a high throw as the Bears’ Chayce Akaka beats out the throw. In the second game of the night, defending state champion Maui High beat King Kekaulike 5-1. Haole pitched four hitless innings to pick up the win on the mound. He struck out five and walked none. The Bears popped in front in the top of the first inning when Chayce Akaka scored on a rundown play. Bubba Varner knocked in a run in the second with a single to make it 2-0. Cade Kalehuawehe smacked a two-run double in the third. 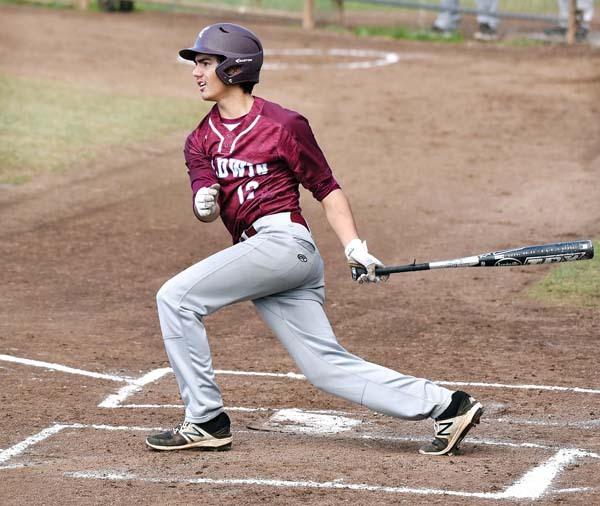 Baldwin’s Bobby Drayer bats during the third inning Thursday. A run scored on an error before Akaka pushed the lead to 7-0 in the fourth with a two-run single to right field. Haku Dudoit followed with an RBI triple and Nainoa Keahi knocked in the ninth run with a sacrifice fly. Akaka finished 3-for-4 with three runs scored and two RBIs, and Dudoit was 3-for-4 with two runs and an RBI to lead the Bears’ 11-hit attack. The Bears have six starters who started their 2016 state championship game win over Pearl City, including Haole and Kalehuawehe, who made up an all-freshman battery that day. 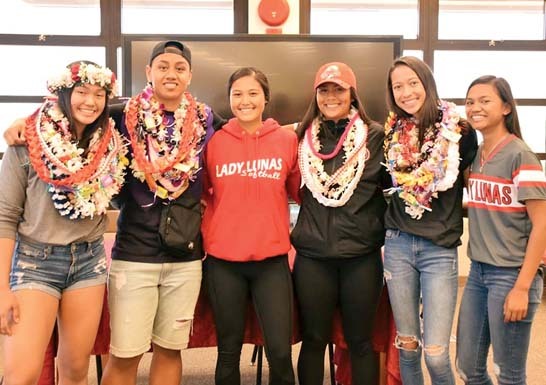 Lahainaluna is missing five starters due to academic difficulties until the next grade check, according to coach Manu Kenolio. The MIL opener came 2 1/2 weeks after the Bears finished a tough preseason slate 6-2-1. “Since our preseason tournament we had a good break, we could nurse some injuries, work on some things we needed to work on,” Baldwin coach Shane Dudoit said. 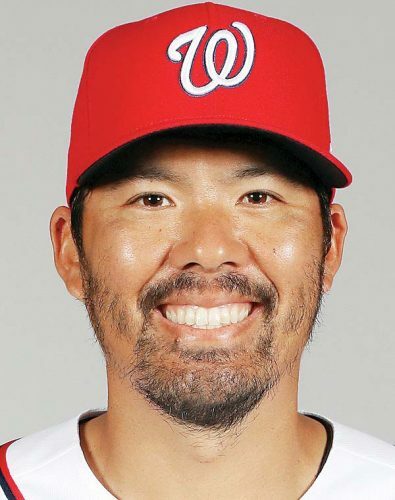 “Kaipo pitched well, kept the ball down, kept the ball in play. Our defense made some plays and he got some strikeouts. Dudoit said his team can’t help but see the rankings as they come out weekly. Kenolio, for one, is convinced of how good the Bears are. “They’re the one to beat,” he said. In the nightcap, the Sabers took a 1-0 lead on an RBI squeeze bunt by Kamahao Ching in the top of the fourth. Na Alii tied the game at 1-1 in the bottom half when Michael Beesing stole home plate. King Kekaulike stranded 12 runners in the game, including leaving the bases loaded twice. Maui High pinch runner Christian Lee scored on a wild pitch to put the Sabers ahead in the top of the sixth. Aiden Vigneux followed with a two-run triple to make it 4-1, and Tyrell Ruiz drove in Vigneux with a sacrifice fly to center field. First-year Maui High coach Leonard Barcoma Jr. dedicated the victory to his father, Leonard Barcoma Sr., who coached him with the Sabers before he graduated in 1975. Barcoma Sr. died in 2008. King Kekaulike coach Mark Makimoto said his team was just missing a big hit. Kaipo Haole, Cody Constantino (5) and Cade Kalehuawehe; Raige Bush, James Smythe (4) and Ekolu Mathias. W–Haole. L–Bush. 2B–Baldwin: Kalehuawehe. 3B–Baldwin: Haku Dudoit. Leading hitters–Baldwin: Akaka 3-4, 3 runs, 2 RBIs; Dudoit 3-4, 2 runs, RBI. Mikito Barkman, Haoa Jarnesky (5), Jyrah Lalim (7) and Hauoli Caliva; Matthew Hackett, Ty Otani (6), Gavin Grossman (6) and Koa Hashimoto. W–Jarnesky. 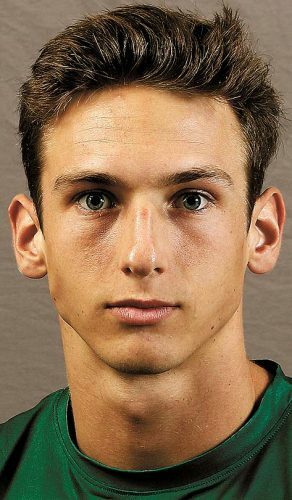 L–Hackett. Sv–Lalim. 3B–Maui High: Aiden Vigneux. Leading hitters–King Kekaulike: Jaxon Holl 2-3.